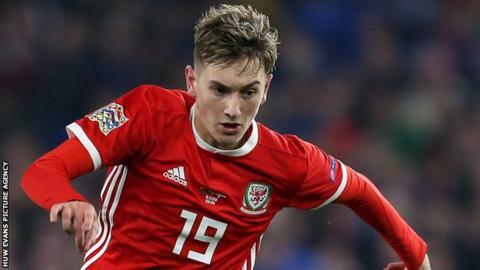 Wales midfielder David Brooks has been handed a fitness boost ahead of their first Euro 2020 qualifier against Slovakia on 24 March. Last week Bournemouth manager Eddie Howe said the 21-year-old was "still some way away" from playing. However Brooks was named on the Cherries bench for Wednesday night's game against Arsenal. Aston Villa defender James Chester remains a doubt for Ryan Giggs side and is struggling with a knee problem. Since joining from Sheffield United last summer, Brooks has scored 6 goals in 22 Premier League games for Bournemouth. Chester has been sidelined since Villa's 2-1 win against Ipswich in the Championship last month, and there is no timescale for his return. The 30-year-old has been receiving regular injections to reduce swelling on his knee.